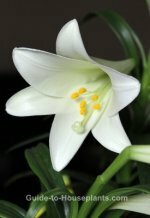 It is popular as a house plant, however, because of its large, leathery, glossy leaves that can grow to 8 in (20 cm) long or more -- and because it is so easy to grow. There are many named varieties to choose from: 'Decora' has big, glossy, dark-green leaves that grow up to 12 in (30 cm) long...'Melany' is more compact and branching. Several varieties have reddish leaves, such as 'Burgundy', and some newer cultivars have variegated leaves. 'Doescheri' is splashed with green, gray-green and creamy yellow or white. 'Tricolor' has gray-green leaves that are variegated with cream and pink. Just like many other plants in the Moraceae family, this one doesn't like to be moved around. Sudden changes in temperature and light may cause it to drop its leaves, although it's not as fussy as its cousin, the weeping fig. Keep it out of drafts and repot in spring only when its roots fill the pot -- it likes to be slightly pot-bound. Use a container with drainage holes to prevent overwatering. Never repot a plant that's shedding its leaves, which will make the problem worse. Pruning tip: The central stem will typically grow straight, without branching. Regular pruning of the growing tip will encourage side branches to form as it grows. You can control its height by simply cutting off the top when it becomes too tall and lanky. Use sharp pruning shears to avoid tearing the stems. Water regularly to keep it healthy. Leaves that turn yellow and fall off are a sign that it's overwatered. However, it's perfectly natural for older, lower leaves turn yellow, then brown and eventually fall off. Few other problems bother this plant. Check for signs of scale insects and mealybugs that may infest rubber plant. Care should be taken to treat any problems as soon as you notice them. Watch for sooty mold. It's not a disease; this black dusty mold grows on leaves covered by the honeydew excreted by sap-sucking insects, such as scale. You can remove it by simply wiping off the affected leaves with mild soapy water. Keep leaves dust-free and shiny by gently wiping them off with a damp cloth. Young leaves are easily damaged; bending or scraping foliage will scar them for life. Light: Bright light, no direct sun. Water: Keep soil evenly moist. Use a pot with a drainage hole, water thoroughly, then empty drainage tray. Be careful not to overwater, which will cause root rot. Drooping yellow leaves are a symptom of overwatering. Humidity: Relative humidity of 40-50% is ideal. 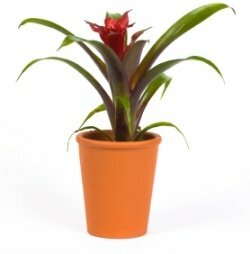 Indoor air can plummet in winter, so it's a good idea to increase the humidity for your houseplants. Temperature: Normal room temperatures 65-75°F/18-24°C. Rubber plant will tolerate a minimum of 50°F/10°C in winter. Fertilizer: Feed once a month spring through summer with a balanced liquid fertilizer diluted by half. Propagation: Take stem cuttings in spring. To keep its sticky, white sap from forming a cap on the base of the cutting, place the tip in water for 30 minutes. Remove from the water and dip only the cut surface in rooting hormone. Then insert it into moist potting mix to root.